My family has come to expect me to make a big meal on Sundays. It’s the end of the weekend and to make the weekday meal prep easier, I like to do some bulk cooking. Whether it’s a tray of baked ziti, a smoked top round or even just a few chicken breasts, there’s going to be some leftovers in the fridge before Monday comes. 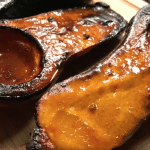 And now that fall is here and winter squash is in season, I thought it was time to do something different and smoke some butternut squash. I see healthy people eating squash all the time. So why not pretend to be one of those healthy people and give it a try. 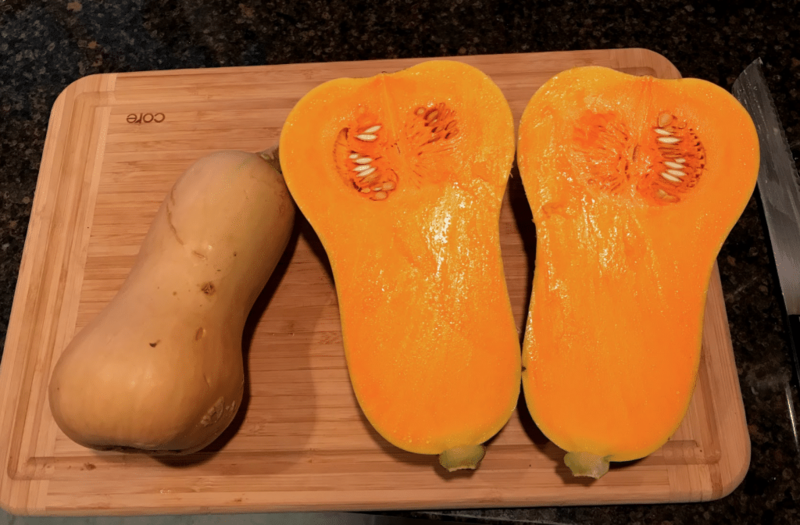 Butternut squash is really very nutritious. It’s full of vitamins and the bright color of the flesh makes it seem more satisfying to eat. Well it does for me anyway. And feeling more satisfied after a meal is my middle name. The seeds are pretty tasty too. When you make smoked butternut squash be sure to set aside the seeds for roasting. Don’t let them go to waste. There’s really not a lot to this recipe. If I have the smoker going while I’m cooking some meat, I’ll usually throw some squash in there too. 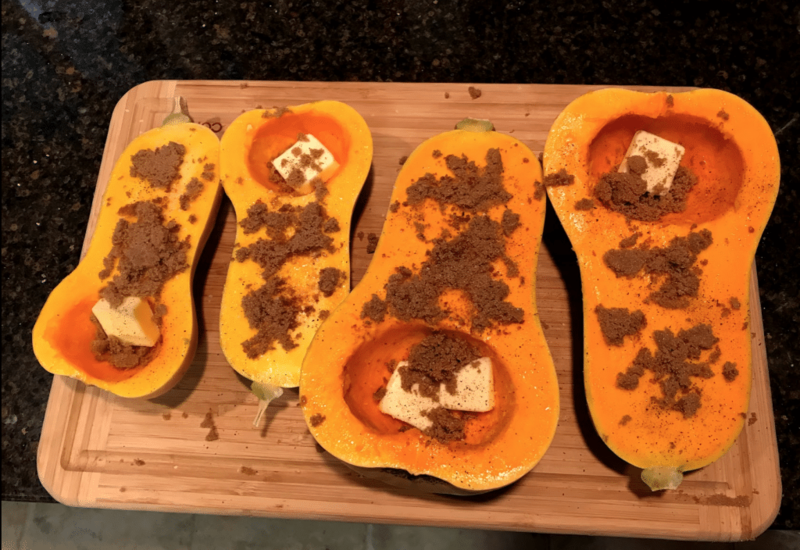 Just cut the squash in half, scoop out the insides and put a cube of butter in there and sprinkle with brown sugar. Then into the smoker it goes. That’s it. If you can do that, you’ll have some tasty smoked butternut squash in no time at all. 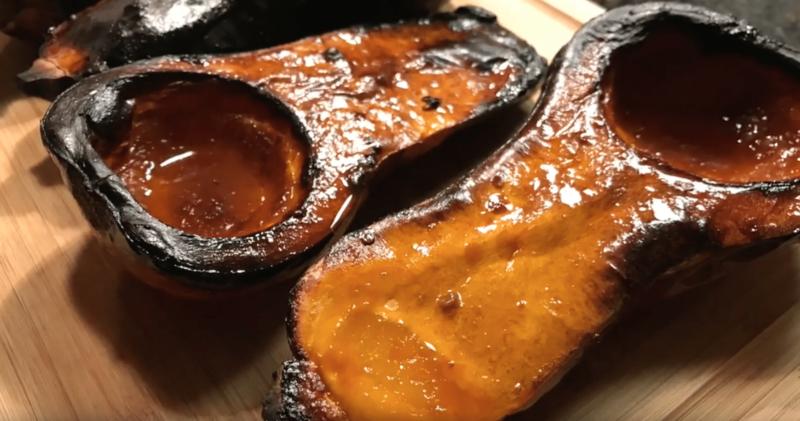 So if you’re looking for different things to put in your smoker besides meat then definitely try smoked butternut squash. Place a generous pat of butter in the hole where the seeds were.